Flowering - Essentially all year. Habitat - Cultivated and escaped to roadsides, waste ground, disturbed sites, and railroads. 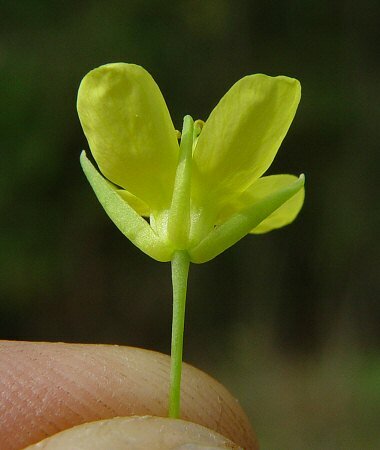 Other information - This species can be found scattered throughout Alabama and is widely cultivated. The plant is often called a "turnip" but turnips have a root (hypocotyle, to be technical) that is flat across the top. 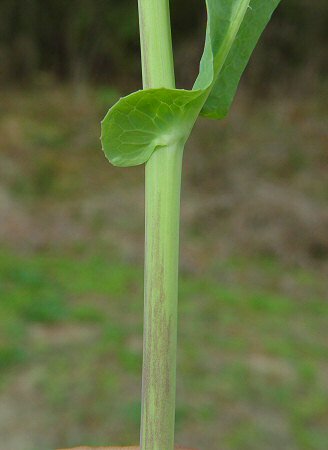 The root of a rutabaga tapers towards the top as in the photos above. Rutabagas sold in stores are often whitish in color. An old synonym for the rutabaga is Brassica napus L. var. 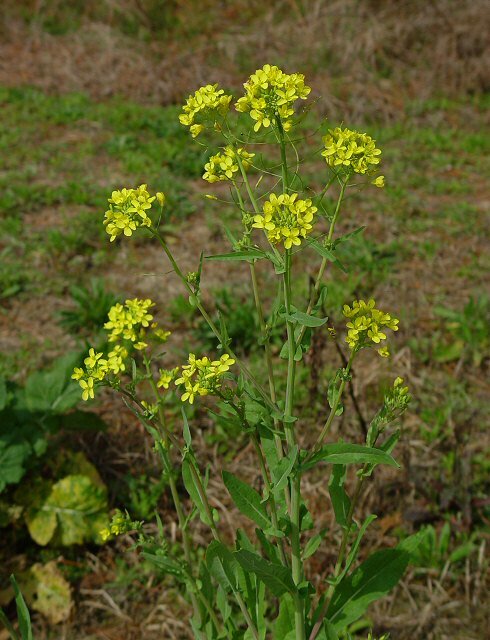 napobrassica (L.) Peterm. The taxonomy of this group is confusing and ever changing. 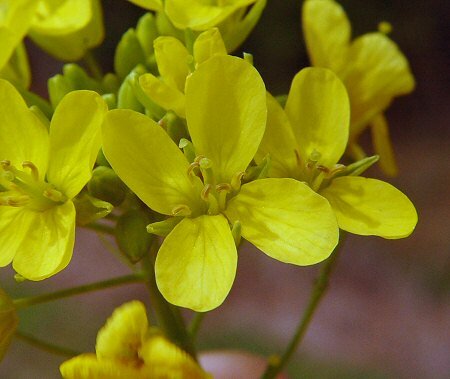 The genus name Brassica is Latin for cabbage. 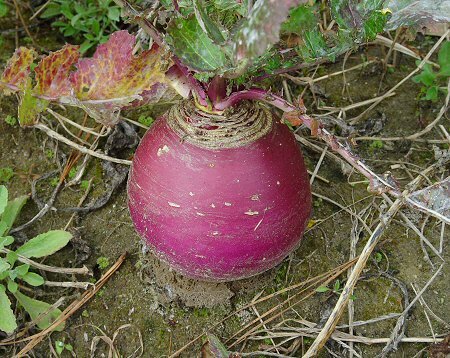 The species epithet napus is the Latin term for a turnip. Photographs taken off Hwy 29, Pike County, AL., 2-26-05.